This groundbreaking volume, featuring a 160+ self-assessment review questionnaire, presents an overview of the basic tenets of James Masterson’s work. 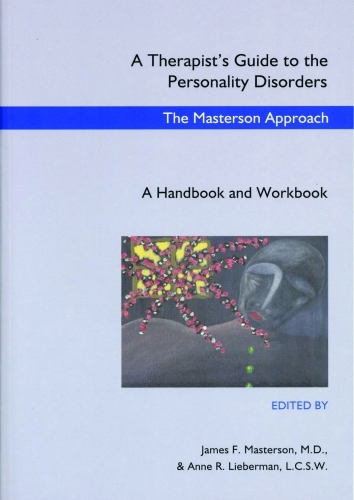 Written by Masterson himself along with members of his faculty, the book covers not only pertinent developmental theory and milestones in its evolution, but there are important discussions of its fundamental concepts; differential diagnosis; the etiology and treatment of the Borderline, Narcissistic, and Schizoid Disorders; the role of Posttraumatic Stress Disorder; and countertransference. This volume features clear, concise chapters from experts on the Masterson approach (including Masterson) to treating what are often our most challenging clients. In reading it, we are encouraged to think more deeply about the development of who we are and we are also supported in our efforts to apply the concepts in our practices by the inclusion of the workbook questionnaire. Masterson’s seminal contributions have never been made clearer or more relevant. In this remarkable book, James Masterson offers a concise theoretical overview, informative updating, and extremely practical application of his ongoing work on the etiology and treatment of developmental arrests of the self. Expanding this model, skilled clinicians give vivid case examples of how Masterson’s theories can be clinically implemented in effective treatment of borderline, narcissistic, and schizoid personality disorders. — Allan N. Schore, Ph.D., Dept. of Psychiatry and Biobehaviorial Sciences, U. of California at Los Angeles, David Geffen School of Medicine.